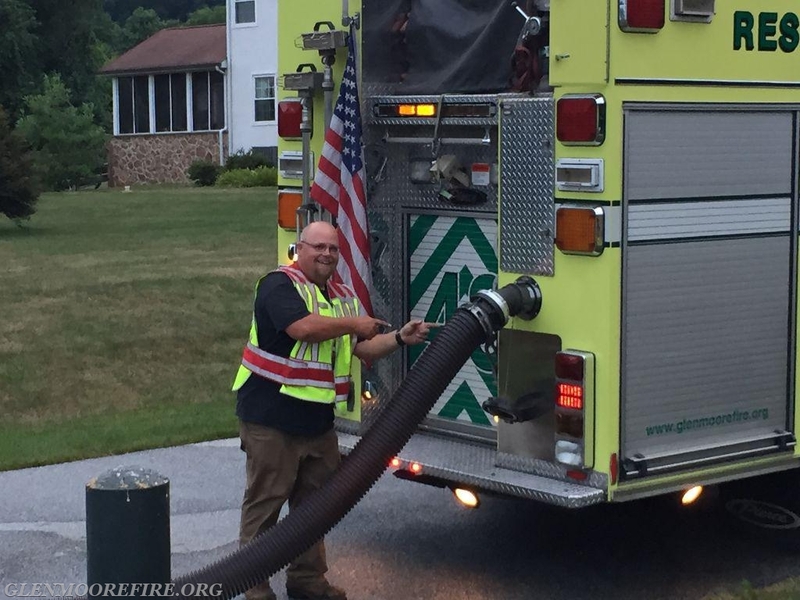 After a week off from training for the Independence Day holiday, the volunteers from GMFC were back at it last night. 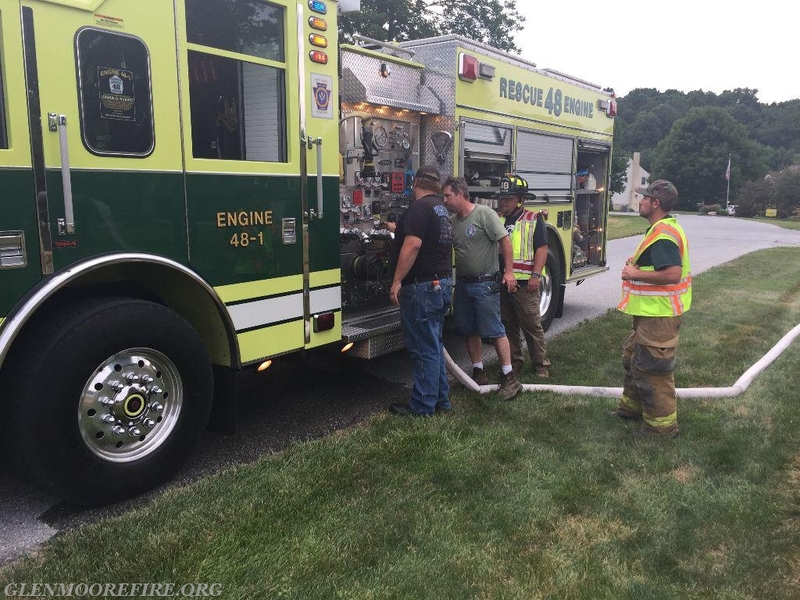 The crew continued to focus on water supply. 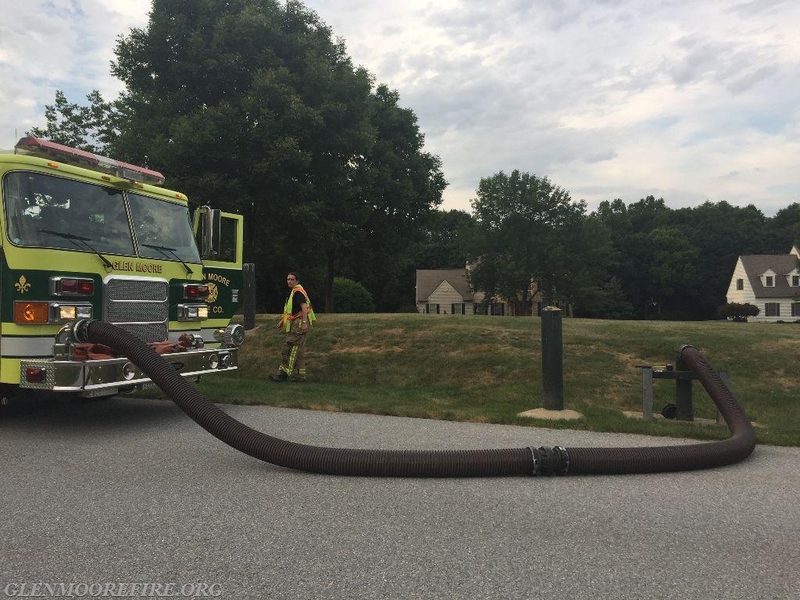 Water supply is the most critical factor for fire suppression, especially in an area where there are no fire hydrants. The crew was split into two groups. 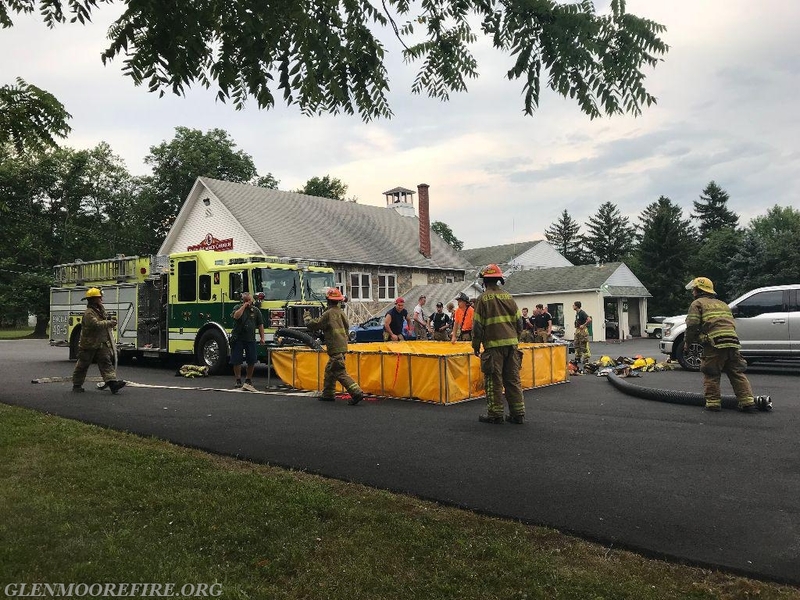 One group, mostly comprised of junior firefighters and newer members, focused on porta-tank operations. 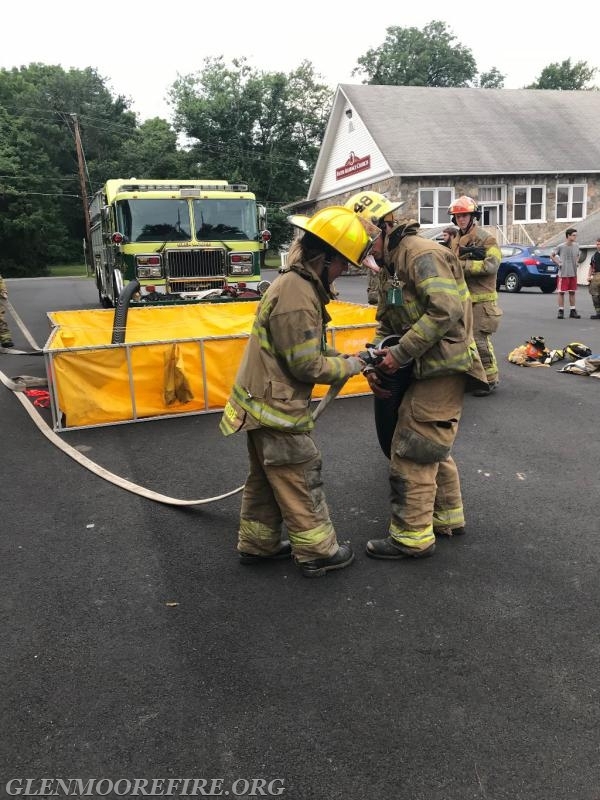 They set up the porta-tank, hard sleeve, and learned how to complete supply operations with two porta-tanks in service. The other group focused on connecting to dry hydrants. 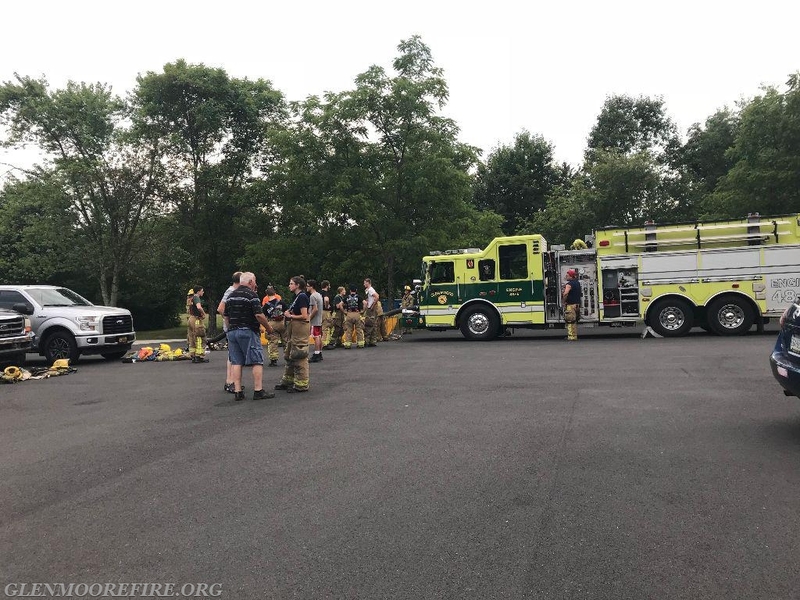 Some members assigned to this group also received their training on pump operations so they could become qualified as driver/operators of the fire apparatus. 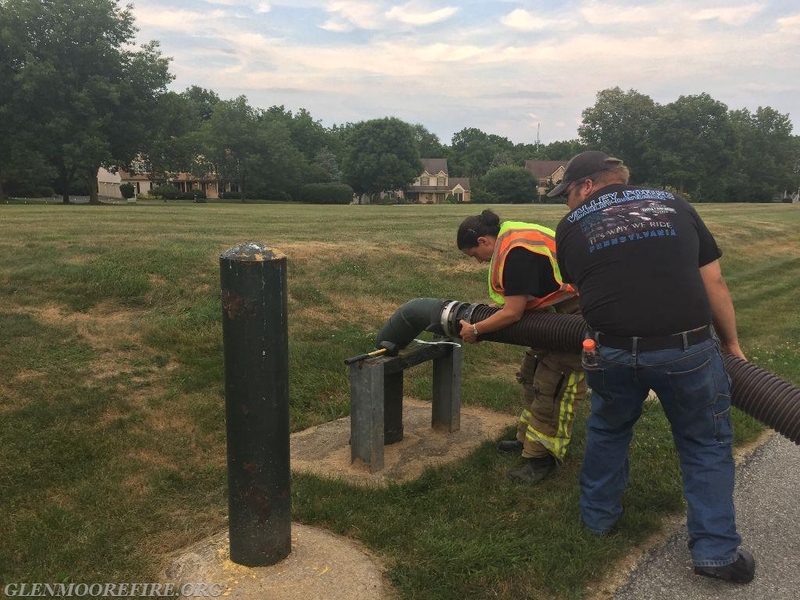 Connecting to the dry hydrant. 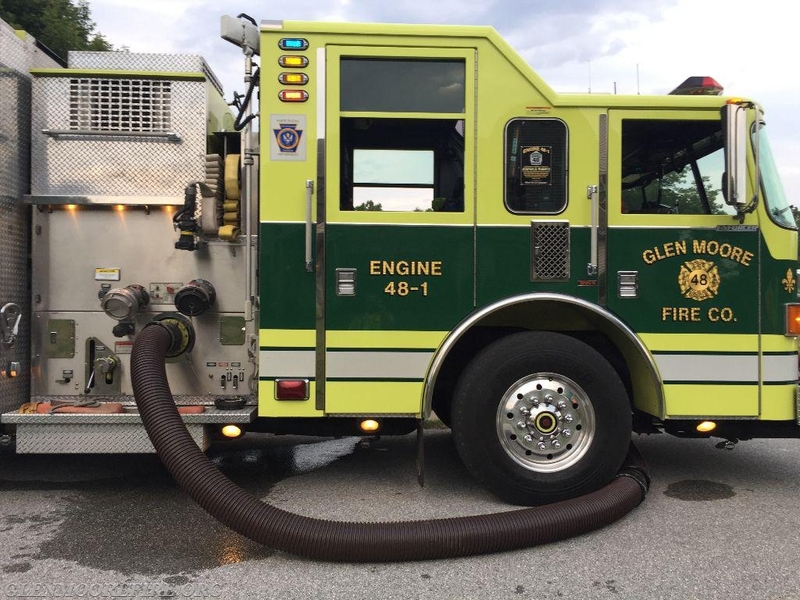 Engine 48-1 connected and ready to supply from the rear connection. 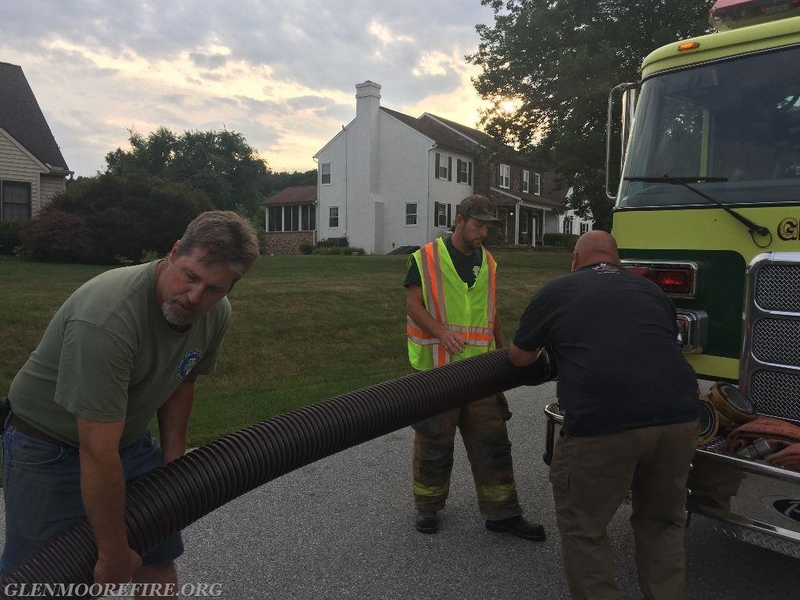 Driver-in-training Mike VanScoyk smiling because he was able to pull the draft! 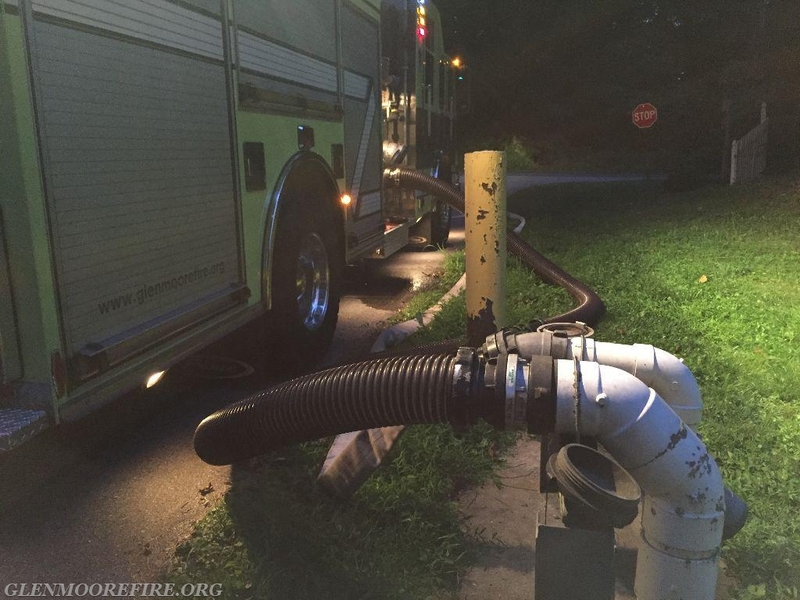 Engine 48-1 connected and ready to supply from the side connection. 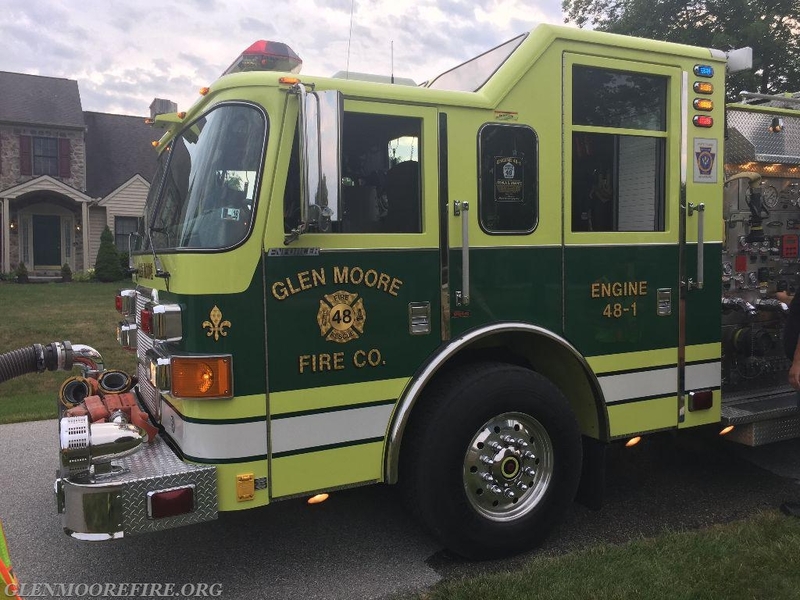 Engine 48-1 connected and ready to supply from the bumper connection. 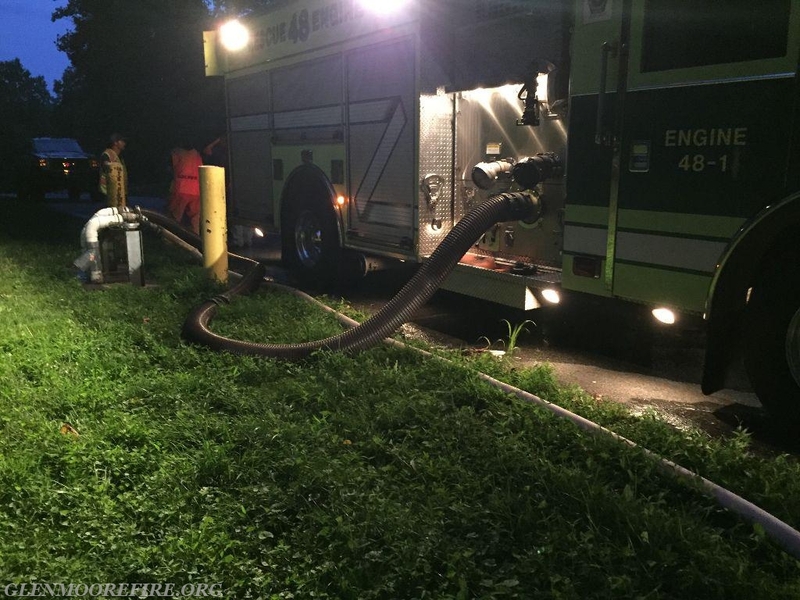 Engine 48-5 working on tanker operations. 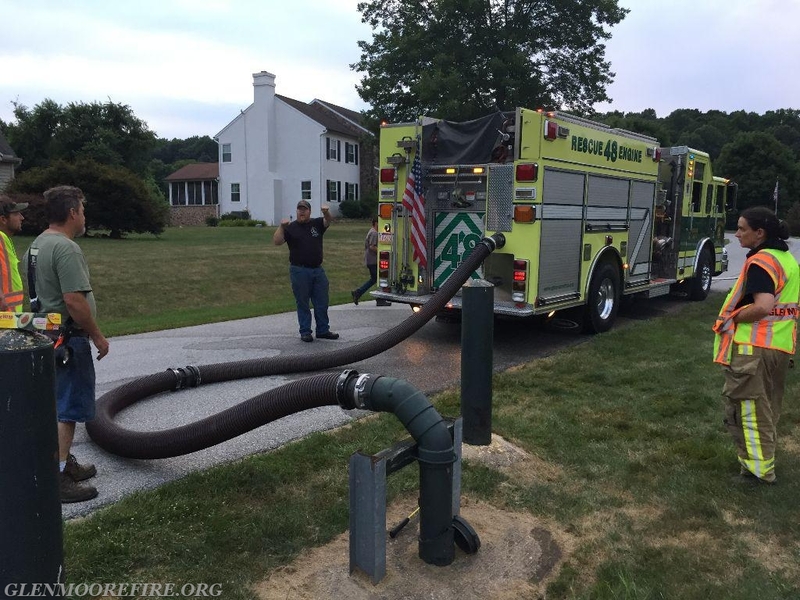 GMFC firefighters making the necessary hose connections.